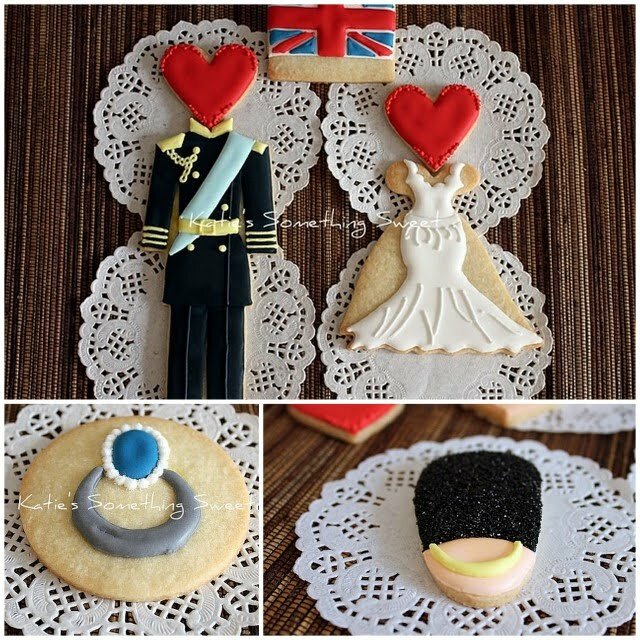 The Royal Wedding is just hours away. 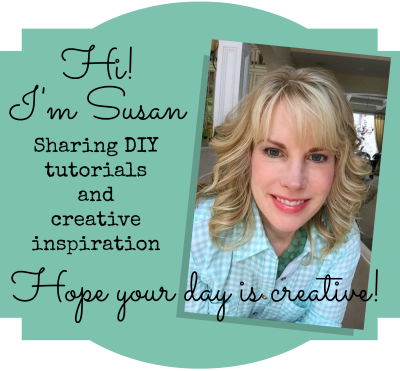 I have been seeing so many wonderful inspiration boards and great party printables around the web. 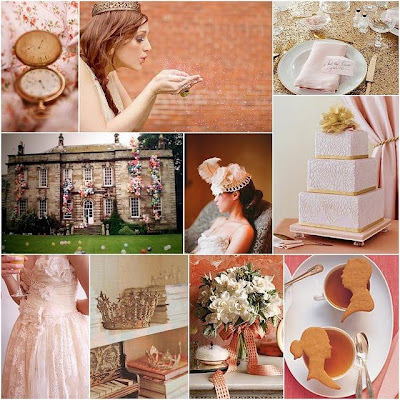 It is amazing how everyone has a different take on the color palette and images. 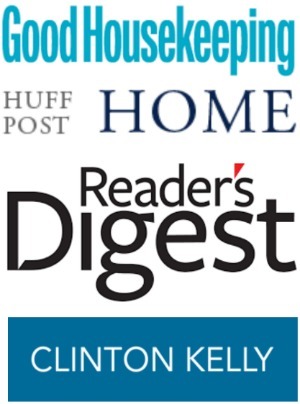 So if you are setting your DVR and having a viewing party with friends tomorrow – check out all this great inspiration! 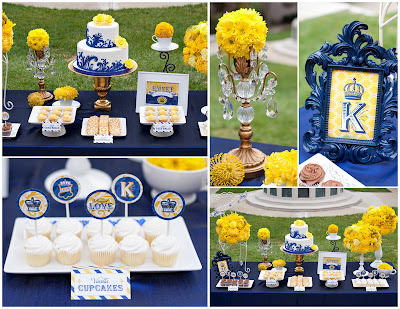 Of course you need to start off the party with beautiful Royal cookies. These cookies are from Katie at Katie’s Something Sweet. This elegant Princess Inspiration in peach, coral and gold was created by Chris at Postcards and Pretties. 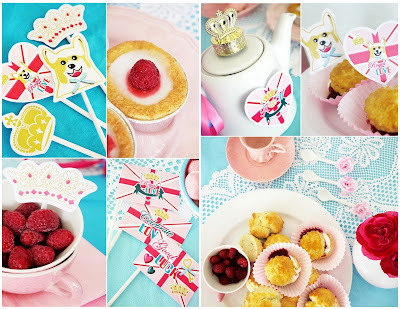 Bird from Bird’s Party created this enchanting “Royal Love” printable party collection – pretty in pink for any princess. 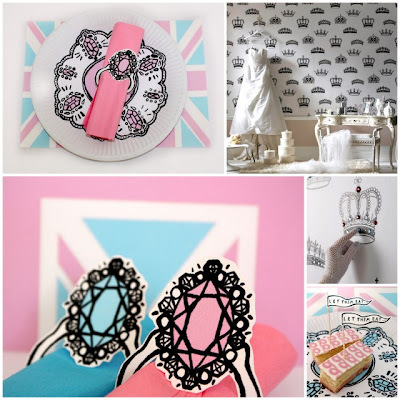 Illustrator Suzi Kemp created Disposable Royal Wedding – a series of paper plates, cups, hats and napkin rings that provide a touch of elegant charm to a celebration. Great oversized images made of simple black and white hand drawn graphics give this party a contemporary look! 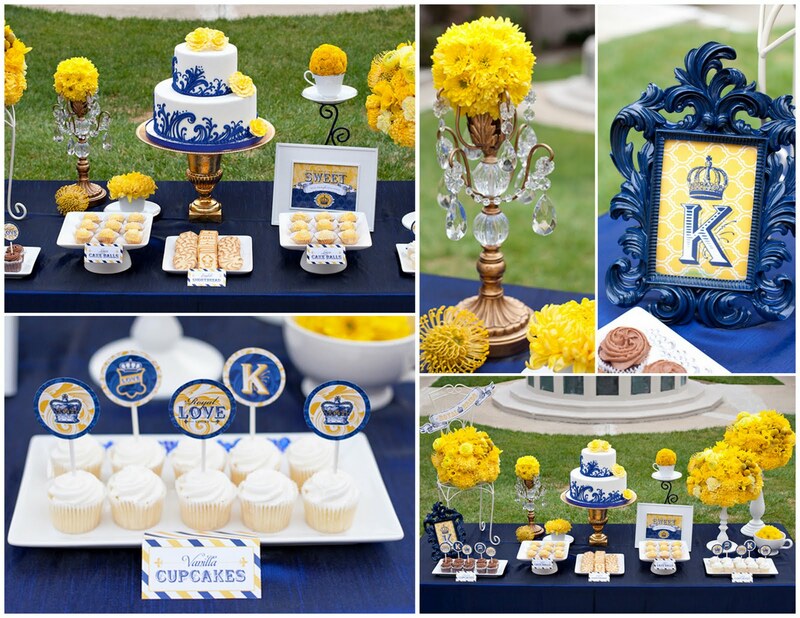 Brilliant yellow and blue make these royal viewing party a show stopper! 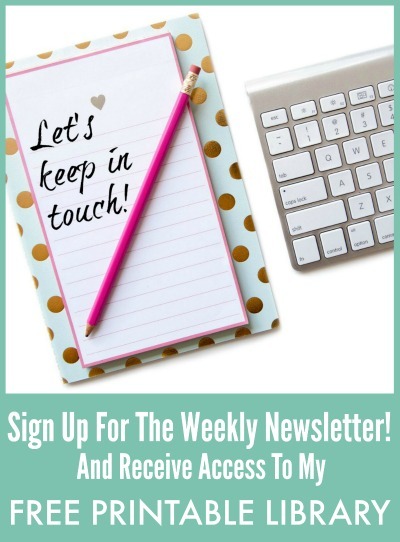 Find the party printables at Hostess with the Mostess.